1-2-1 harp therapy can be interactive of receptive. If somebody is very unwell or unable to engage Alice will play the harp for the client in a receptive session. If somebody wants to use the harp as a therapeutic medium to boost mental health, increase physical health or overcome emotional difficulties they can play a harp themselves with Alice. The initial consultation and assessment is free of charge, thereafter a course of six sessions are offered individualised to the specific needs and requirements of the individual. Alice also does 1-2-1 harp lesson sessions for fun and wellbeing, if you’ve always fancied having a go on a harp then this could be your opportunity. Get in touch to discuss these options. The harp provides a soothing and calming sound, it is an ancient instrument with a long history of healing, and is ideal for use working 1-2-1 with clients. Therapeutic harp music can be delivered in hospitals, hospices, nursing homes and the community. The music is played to create a restful space, provide comfort, lift spirits and for relaxation. Music is personalised at the bedside for the client in that moment and may help to ease physical, mental, emotional and spiritual difficulties. During a therapeutic session a client may look, listen, talk, sing, rest, shut their eyes or sleep while I listen, observe and respond in a way I think is beneficial for the client at that time. Playing is tailored to the client by observing the clients breathing, body movements and expressions. The client is the focus of the visit. Each visit will be different as each client is unique, and will respond differently at different times and visits. Individual harp therapy is suitable for people in their own home or in nursing and care homes, hospital and hospice. The therapy harp is small and light and can be played at the bedside accommodating any sensory impairments or physical dificulties a client may have. Familiar and improvised music will be played to meet the mood of the client during the visit. If a client is able to they are welcome to play the harp, on their own or as a duet with Alice. The therapy harp is lightweight and can easily be held over the bedside to facilitate playing. Therapeutic harp will not change a diagnosis or treatment but may provide some respite for the client, and allow them to be distracted from their treatment or environment and relax and have some quality personalised quiet time. Harp music may play a part in pain relief, provide distraction, promote steadier breathing and relaxation, increase quality of life, stimulate memories, and provide a personal interaction. Research carried out at the San Diego Hospice demonstrated that harp music helped to create easier breathing for 71% of clients, and reduced anxiety levels in 84% of patients. In addition, 63% of clients report reduction in pain when live harp music was present (Tourin 2003). Tourin C (2003) Healing music for harp Emerald Harp Productions, California. Interactive 1-2-1 harp therapy can be delivered at your home or at a therapy centre. Sessions can be structured to meet your needs and goals, and would include basic harp playing technique and incorporate mindfulness, improvisation, composition of music or lyrics to express self and feelings and familiar tunes. The focus can be adjusted each session to meet you in that moment. These sessions would incorporate two harps, one for yourself and one for me to demonstrate on and play along on. Alice will come and meet you for a consultation to find out what you want to get out of the sessions and plan them accordingly. 1-2-1 harp therapy for fun and wellbeing can be delivered in your home. 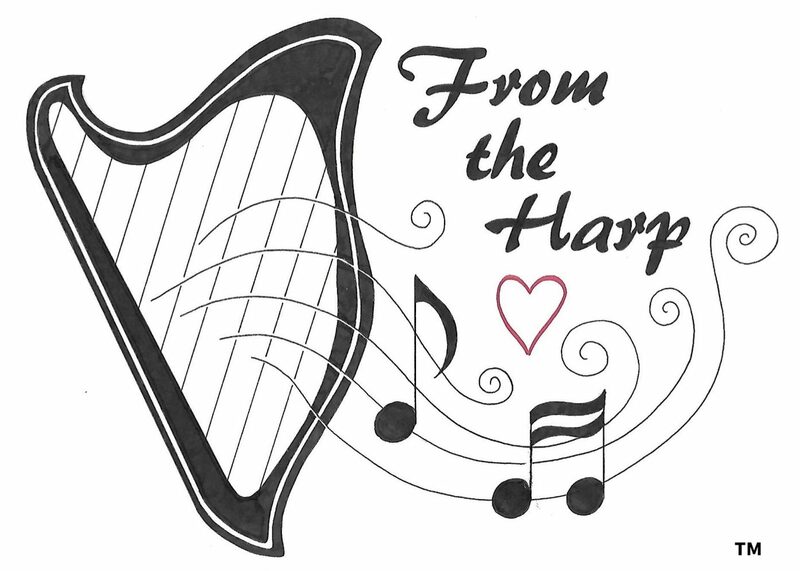 It’s easy to make a lovely sound on a harp and learn simple familiar tunes. It’s the technique that requires a lot of practice is you want to take your harp playing further. If it’s an instrument that you’ve always fancied having a go on then why not, it’s never to late to try something new! You can have fun improvising and playing simple tunes on the harp and get that sense of satisfaction and achievement of harp playing. These sessions would involve basic harp playing technique, improvisation, composition and playing familiar tunes. You can also pick the colour of the harp you would like to play!